We propose to install and manage solar energy systems in rural Indian villages to address the lack of a consistent power supply, which fundamentally affects quality of life and economic opportunities in poor communities. 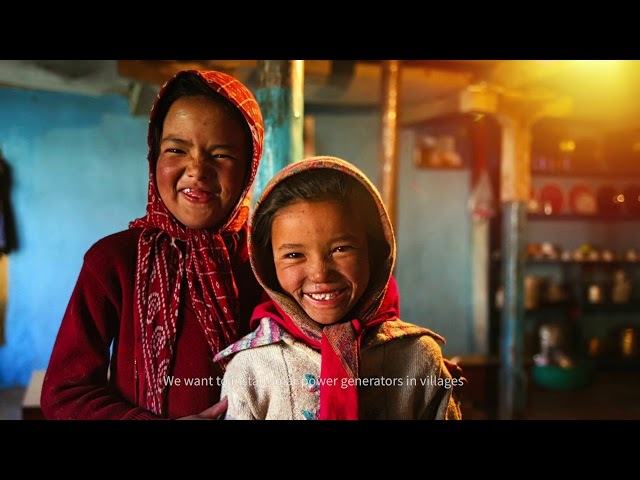 Over 350 million Indian citizens do not have access to electricity. Within rural communities that have electricity, a large proportion are prone to an erratic power supply, long outages and fluctuations. The Initiative will utilize existing village-level electricity distribution infrastructure, and will avoid the need for developing a new power evacuation system, thus resulting in cost savings. New solar energy generators will connect to existing low tension (LT) distribution systems in each village. All the solar energy produced at the village level will be fed into the regional distribution network (gross-metering). The villagers will continue to pay their electricity bill to the State Utility at subsidized rates. During daylight hours the village will use he majority of the solar energy produced by the village-level distribution network. Surplus energy will flow beyond the village-level distribution transformer and will be consumed at the nearest load. This will reduce transmission losses and improve grid voltage as energy is being fed from the tail-end of the grid. The Electricity Act (2003) of India specifies that all grid-connected solar PV systems shall be treated as “Must-Run” power plants and shall not be subjected to merit order despatch principles, hence the high tension (HT) feeder that serves the village distribution transformers will be treated at par with urban feeders and this will ensure reliable power supply for the village. Urban feeders are typically exempted from load shedding. Solar energy produced will be sold to third parties (commercial and industrial entities in the State of Tamil Nadu) and the village will receive a financial contribution up to 10% of net free cash flow, to be used for village development programs (such as livelihoood generation, sanitation, water supply, health etc.) through participatory budgeting. Further, cash flows from the sale of solar energy will be used to create a revolving fund mechanism, which will be used to fund additional Solar Village projects. The villages will benefit from 24/7 reliable power supply leading to overall economic development and improved education systems, and opportunities for local employment. In addition to improving electricity access, this project seeks to expand capacity for local community ownership of renewable energy technology to empower local control and management. Local ownership distributes the benefits of solar installations directly to communities which, when coupled with employment generation, will disrupt the negative cycles of resource extraction and economic hardship transforming local economic opportunities. The Solar Village Initiative will initiate a transition towards community-owned, cooperatively managed solar generation systems. Furthermore, this initiative will enable researchers and community members to develop and refine best practices for similar community-based renewable energy generation projects in the country and globally.